Who doesn’t love to feel appreciated? Pretty much everyone, in every setting, wants to feel valued for their contributions, and that’s no different in the workplace. When people feel valued, they’re more motivated to continue making their efforts. Recognition in the workplace has been proven to help strengthen engagement, boosting both employees’ connection to the business and their productivity. Research shows that companies who score in the top 20 percent for having a “recognition-rich culture” have 31 percent lower voluntary turnover rates, and more than 80 percent of employees are motivated to work harder and stay longer in their jobs when they are shown appreciation. This is particularly true for the Millenial and Z generations, who are more likely to have a shorter tenure at any particular company. In the current tight labor market, employee recognition matters now more than ever. This article will explore recommendations and ideas for employee recognition programs appropriate for companies of all sizes. Are you showing your employees enough recognition? The Perceptyx platform will help answer this and other questions crucial to engagement. Sign up for a demo. In the past, recognition programs were often focused on tenure. While it remains important to show appreciation for long-term service, such recognition has little impact on organizational performance. In today’s workforce, few employees stay with one company long enough to receive recognition for decades of service, and the potential for recognition years in the future provides little motivation in the here and now. Recognition for good work helps boost engagement because it makes employees feel valued. It shows that their hard work has not gone unnoticed and is appreciated; it communicates that they matter to the business. Showing employees that they are valued on a regular basis helps keep motivation high. Tie recognition to the company’s broad objectives in terms of strategy, business goals, or values. When recognizing employees, refer to specific actions or behaviors that helped the company meet goals or live out its values. For example, perhaps someone prevented a potentially serious accident by following proper safety procedures, or structured a deal that made the client “a hero.” Using storytelling to call out specifics tied to company goals or values not only recognizes an employee’s good work—it also models an example for other employees. Recognition should be frequent and timely, to call attention to good work that goes on year-round. Annual awards are great, but there’s no reason to wait months to show appreciation for good work. Immediate recognition helps strengthen the connection between the employee’s action or behavior and how it aligns with business goals or values. In addition, timely recognition gives the employee a boost right away to keep motivation and engagement high—encouraging the employee to continue the behavior, and other employees to emulate the good example. Customize recognition to the employee’s preferences. While many employees like being publicly recognized, others might prefer a private commendation. Employees appreciate recognition personalized to their likes—a cash bonus, a gift card for dinner at their favorite restaurant, tickets to see their favorite sports team play, or even a donation to a charity they support. Ask employees to fill out a questionnaire during the onboarding process regarding their preferences for recognition and you’ll know how to personalize the gesture so it’s most meaningful for them. Make employee recognition a part of the day-to-day culture of the company. New technology platforms make nearly instant recognition easier than ever. These platforms allow peer-to-peer recognition as well, and commendations can be sent to the employee, or the employee and their manager, team, or the entire company. Other channels of communication, such as a regular employee newsletter or company intranet site, can be used to recognize employees for good performance; you can also offer appreciation in a social media post. Also, don’t lose sight of the value of one-on-one recognition—a verbal pat on the back from a manager or fellow team member is always welcome. Showcase activities and achievements from employees outside the workplace— winning a golf tournament, running a marathon, or volunteering for a good cause. Celebrate collective achievements—such as maintaining an accident-free safety record or increasing company productivity and profits—together as a group. Celebratory meals, parties, or activities allow employees an opportunity to get to know one another outside of work and help form deeper connections. Recognize important events in employees’ lives—marriages, the birth of children and grandchildren, and other major life events. A good employee recognition program not only rewards good work; it also centers around the idea of recognizing and appreciating employees as the complete persons they are. 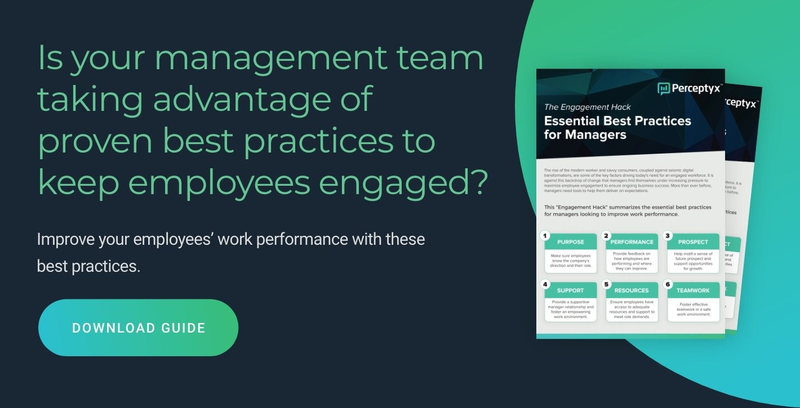 When employees feel that they’re seen and valued for who they are as people, it builds trust and connection—and ultimately, a culture of recognition, where appreciation is expressed freely among peers and all levels of the organization. When this culture is achieved, it brings an added bonus: research shows that the act of giving recognition also increases engagement, because it’s building connections between people. If your company is still stuck in the old model of tenure-based recognition programs, it’s time for a tune-up. A culture of recognition in the workplace pays dividends on several fronts. Frequent expressions of appreciation will not only make employees happier, more engaged, and more productive—they can also deliver big savings by reducing voluntary attrition. Want to find out if your employees are getting the recognition they need and deserve? You may think you’re showing enough appreciation for your employees for the good work they do—but do your employees agree? The Perceptyx platform can help you zero in on how well your current employee recognition program is working and give you ideas on how to improve it. Contact us today and see how we can put the power of data to work for your business!